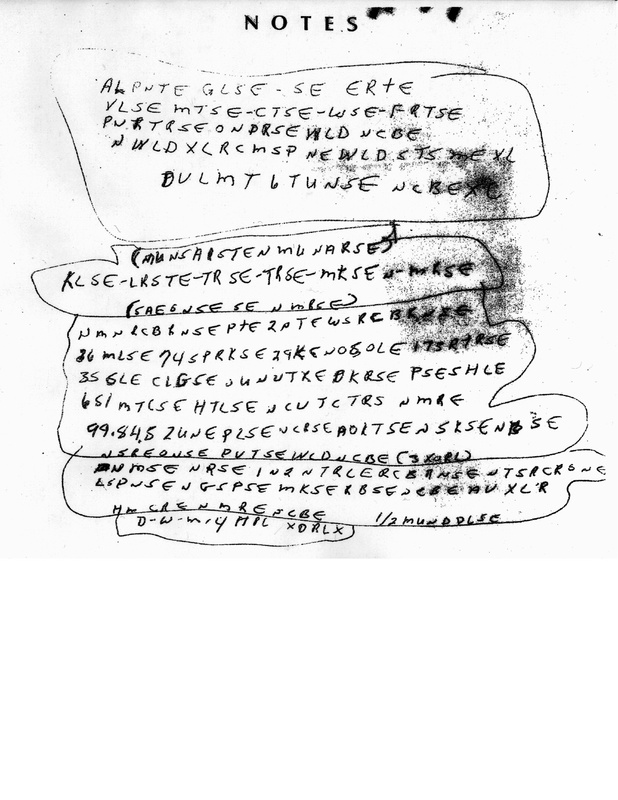 Tool to try to understand the McCormick cipher, still unresolved. 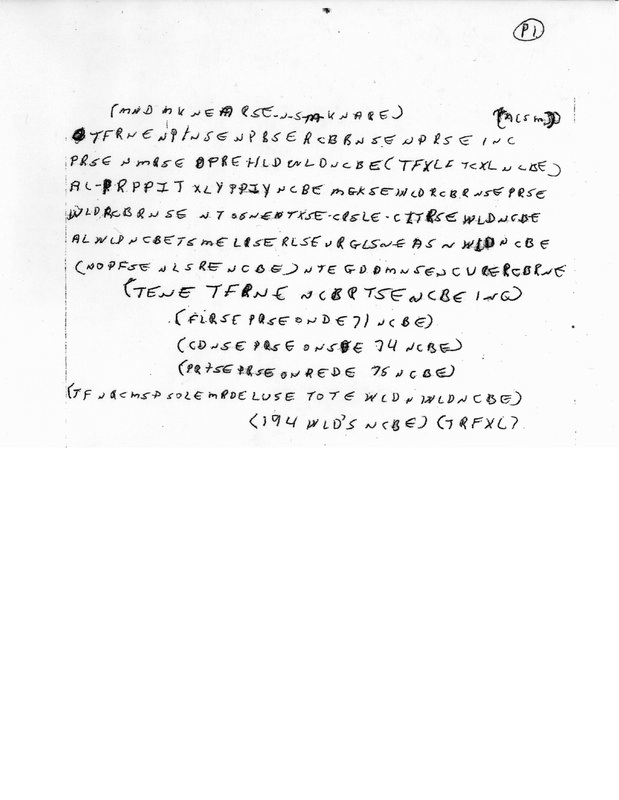 This code is associated with a case of murder in the United States and investigators believe that its resolution could advance the investigation. Team dCode likes feedback and relevant comments; to get an answer give an email (not published). It is thanks to you that dCode has the best McCormick Cipher tool. Thank you. dCode does not propose a tool to decipher the code or its variants because this code remains unresolved today. Nobody has yet found a perfect translation or explained the entire message without ambiguity. On this page are listed the original notes and their transcriptions. What is the content of page 1? What is the content of page 2? Which clues are in the text? Some letter suites appear several times in the text. The n-grams SE, PR, RSE, NCBE are the most common. Improve the McCormick Cipher page!